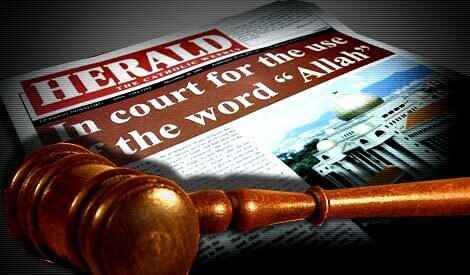 The Court of Appeal’s unanimous decision to ban the use of ‘Allah’ by Catholic weekly The Herald is constitutionally flawed and factually unsustainable. In overturning the Kuala Lumpur High Court decision, Justice Mohamed Apandi Ali has imputed extra meaning without basis to distort the interpretation of Article 3 of the federal constitution that grants freedom of religious practice. The Christians have lost the fight to use the word Allah not because the Divine Power banned its use but because Man said so. A three-man bench of the Court of Appeal ruled that the Catholic Church cannot use Allah in the Malay section of its weekly newspaper, the Herald. It struck down an earlier ruling of the High Court four years ago that the church had the “constitutional right” to use it on grounds that other religions can practise their faith in “peace and harmony”. “we have become a nation we were not”. An appellate court’s decision that “Allah” was exclusive to Muslims suggests that Malaysians’ only recourse for civil liberties and freedom was to seek these elsewhere, Datuk Zaid Ibrahim said today. The former de facto law minister said the Court of Appeal’s ruling that barred the Catholic Church from describing its god with the Arabic word “Allah” in its Herald weekly paper revealed a “hopeless” situation and showed that “we have become a nation we were not”. The Court of Appeal decision to uphold the ban by the government on the use of the word Allah in the Herald publication is a sad day in the history of the nation. No, I am not going to touch on the merits of the judgment or why it is an injustice to Christians who use Bahasa Malaysia in their worship. There are many who have written (or writing) on both these issues right now. “Allah” means God, unless you are a non-Muslim Malaysian, in which case you have to find another word. After a recent court ruling in the country, Allah can now be used only to refer to the Muslim God, and non-Muslims (mainly the Malaysian Christian Catholic community and press) have been banned from using it. It is a decision that has inflamed opinion among minority religions and disheartened Muslims. It is believed in Malaysia that ‘Tuhan’ is the general Malay word for the deity of any religion. The recent Malaysian court ruling banning the word “Allah” from a Catholic newspaper denies religious freedom of the minority Christian community in Malaysia. How true is this? “Allah” can no long be used by a Christian newspaper in Malaysia to refer to “god” after a landmark court ruling on Monday, reversing a decision made four years previously that maintained the term transcended different faiths. The state government is concerned over the impact of the Allah ruling on the locals in Sarawak, such as those seen here participating in a service at a Kuching church. The Malaysian Insider pic, October 14, 2013.Hours after the Court of Appeal banned the word Allah in Herald, Barisan Nasional (BN) lawmakers in Sabah and Sarawak began scrambling to assess the political impact of the court decision in the two Borneo states. In what appears to be an urgent response to allay growing unrest among Christians in Malaysia, Deputy Home Minister Wan Junaidi has clarified that a ban on the use of the Arabic word Allah only applied to Catholic magazine, the Herald. Other Christian publications including the Malay-language Al-Kitab, which is widely used in Sabah and Sarawak, would not be affected. If there is any threat to Allah, it comes from Umno because of the manner it does its politics, which is totally against what Islam professes. Islam, according to Department of Islamic Development (Jakim), is under threat and Muslims are being denied of their rights as Muslims. And if Islam and Muslims are under threat, then Allah too is under threat! So says Jakim, but which Allah and which Islam is Jakim talking about? ‘Allah’ ruling – what are we going to do about it? I like the saying “Don’t get mad, get organised”. I find repetition and predictability extremely boring, but I cannot help but belabour this point (this will unlikely be my last article to do so) because its relevance to an extremely influential part of Malaysian society screams at me daily. KUCHING: Christian BN leaders here have rebelled and declared that they will continue to mouth the term “Allah” in their worship irrespective of the latest ruling by the Court of Appeal barring its use. Whilst BN leaders in Sabah have kept mum, in Sarawak the affront has been widely reported. The Malaysian Bar expressed deep concern over the Court of Appeal’s ban on the word Allah in the Catholic weekly, Herald, notably in the way the court interpreted the provisions on the status of Islam and other religions in the Federal Constitution. The Bar also questioned the court’s quick research on the Internet in coming to the conclusion that the word was not integral to the Christian faith. Like the history of most religions, the history of Islam is complex and much debated. But there are a few elements that are not in dispute, chief among them that the God of the Quran is the same as the God of the Bible and of the Torah before it. The mission of Islam, as expressed in the Quran, is not to bring a new faith, but to update the messages of the monotheistic faiths before it. Do Christians and Muslims worship the same God? It is never hard to find to devout followers of either faith who answer that question with a resounding negative. Actually, the “same God” question is not one that a monotheist can meaningfully ask. The Court of Appeal was wrong in its decision banning Christian weekly Herald from using the word ‘Allah’ to refer to God in Bahasa Malaysia, said a constitutional law expert. “By linking religious rights under the chapter on fundamental liberties with Article 3(1) of the Federal Constitution which effectively makes Islam the benchmark for everybody, this runs counter to the general meaning of Article 3(1) of the Federal Constitution itself,” Dr Abdul Aziz Bari told Malaysiakini today. The ban on the word Allah is seen as ruling party Umno’s efforts to boost its Islamic credentials and win back votes, said BBC News in a commentary yesterday. Its Malaysian correspondent Jennifer Pak observed that yesterday’s Court of Appeal ruling which banned the use of the word Allah in the Bahasa Malaysia section of the Catholic weekly, the Herald, had not surprised Christians in the country who make up about 9% of the population. “Many of them believe that the case stems from a tight race between the governing Malay-Muslim party, UMNO, and the opposition Islamic party, PAS,” she offered. An opposition lawmaker believes that the three Court of Appeal judges were influenced by right-wing Muslim groups when they unanimously banned the word Allah from being used in the Bahasa Malaysia section of the Catholic weekly, the Herald. PAS’s Parit Buntar MP, Mujahid Yusof Rawa (pic), an advocate of interfaith dialogue, said the decision was a setback to interfaith relations and that right-wing forces were responsible for the current predicament. A senior lawyer and Sarawak PKR chairman claims the Court of Appeal had ignored historical facts which pre-date Malaysia and religious freedom enshrined in the 1963 Malaysia Agreement. The Court of Appeal’s decision to overturn a High Court ruling allowing Christians to use the term ‘Allah’ in the Bahasa Malaysia version of The Herald publication has left a “bitter taste” among the Christians in Sarawak. The Court of Appeal in Putrajaya on yesterday over-ruled the earlier decision by Justice Lau Bee Lan in the Kuala Lumpur High Court to allow Christians (Herald) to use the word Allah. The wide ramifications of the Appeal Court decision calls for careful analysis to ascertain whether it is based on accurate facts which are foundational for a coherently argued and impartial judgment. I shall focus on the judgment delivered by one of the three judges, Justice Mohd Nawawi bin Salleh, since it ostensibly examines the facts pertaining to the legitimacy of Christians (the Herald) using the word Allah. An United Arab Emirates (UAE) newspaper has expressed its astonishment with the Court of Appeal’s decision yesterday to ban the Catholic weekly Herald from using the word ‘Allah’ to refer to God, emphasising that the word was “not exclusive to Islam”. The National, an government-owned UAE newspaper which is based in Abu Dhabi, said that yesterday’s court decision appears to be “wrong”. For Parit Buntar MP Mujahid Yusof Rawa, yesterday’s Court of Appeal decision indicated that interfaith relations are moving backwards and he blamed right-wing forces for the woeful situation. Mujahid, who is also PAS central committee member, said while he respects the appellate court’s decision which banned Catholic weekly The Herald from using ‘Allah’, he disagreed with the way the issue was handled by the government. In deference to the maxim that discretion is the better part of valour, the titular head of the Catholic Church in the archdiocese of Kuala Lumpur should not appeal the appellate court’s decision to restrict the use of the term ‘Allah’ to Muslims. To appeal would likely invite another panel (coram) of Muslim judges, this time from the Federal Court, to engage in the legal and literary gymnastics that masqueraded as reasoned judgment of the three Court of Appeal judges who handed down their rulings yesterday. Putrajaya has taken the position that the Government’s 10-point solution in 2011 has nothing to do with its appeal to reverse a High Court ruling which allowed Christians to use the word “Allah” in the church newspaper, the Herald. 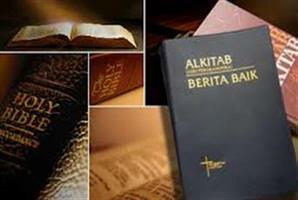 It said the Cabinet decision on April 11, 2011 was only to find ways to overcome problems relating to the import, printing, distribution and the use of the Bahasa Malaysia bible in the country. Have you forsaken your flock, Archbishop? The Archbishop of Kuala Lumpur, Murphy Pakiam, has received a barrage of criticisms from Catholics for keeping mum on Perkasa’s call to Muslims to seize and burn Bibles.